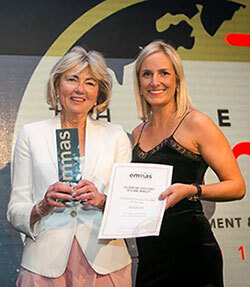 On Friday 10 November 2017, the winners of this year's FEM EMEA EMMAs (Expatriate Management & Mobility Awards) were announced at a glittering gala dinner at the Intercontinental Hotel, London. Will Brexit Be a Boon for Business Travellers? With just over a year gone since the historic UK vote to leave the European Union there is still not much clarity on what will happen during the negotiations and beyond. What if your Business Travellers could actually save you Corporate Taxes ? Going-there has been lucky to have many excellent Destination Consultants who have worked with the company for long periods of time. They have brought energy, enthusiasm, imagination and compassion to their roles in helping relocating families and truly are the foundation of the Going-there quality service. The Relocation Industry can be subject to external shocks and shifts that cause changes in assignment trends. For instance, the drop in oil prices in recent years most certainly affected numbers to Norway, Alberta, Canada, and Houston, Texas. Going-there short-listed for more awards! Award season is back and Going-there has been short-listed in two categories of the US EMMAs for its Global Tracker. GT Global Reach is Going-there’s answer to clients who need to increase their global footprint without setting up costly offices all over the world. How does it work? In many trade journals today you will see articles discussing the complexities of managing your Business Traveller constituency – but how do you go about doing that? Here are 7 tips for organising your programme to ensure you remain compliant in this increasingly complex environment. Do You Need Help Managing Your Short-Term Business Visitors (STBVs)? Going-there has won the 2016 award from Re:locate Global for Technological Innovation. The award was made for our new GT Global Tracker app. Krakow is a university city with an abundance of highly educated, bi- and tri-lingual candidates who work alongside expatriate employees from western Europe and the US. The expatriate community is growing. Zagreb is Europe’s newest capital, dating from 1991 when Croatia became independent. It joined the European Union in 2013 and has made a strong transition to become a modern international city. Going-there's Global Tracker App is a simple solution to compliance and duty-of-care challenges. Immigration, tax and emergency alerts can all be managed through one device.